The news that a body of a woman, who was found in 2004 on a remote hill in Yorkshire, was that of Thai wife, mother and daughter Lamduan Seekanya was confirmed this week. 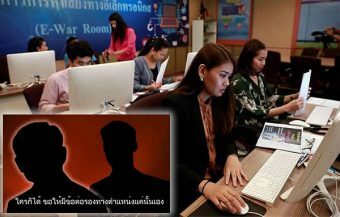 It does not come as a surprise given the similarity between a police sketch and photos of the Thai woman which were widely distributed and which in the last year caught the attention of the Thai women’s family in Udon Thani. 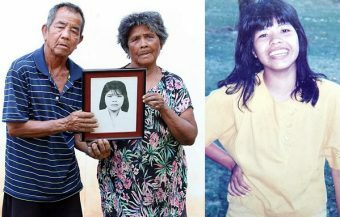 Lamduan’s 73 year mother, Joomsri Seekanya, was also certain that her daughters disappearance coincided with the discovery of the woman’s body by hill walkers on September 20th 2004. 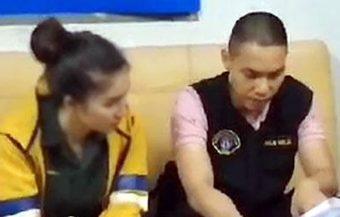 It was Thai police who finally established the Thai woman’s identity this week using finger prints. UK police are still investigating the young Thai woman’s death following the reopening of the case last year and new evidence suggesting that it was murder. 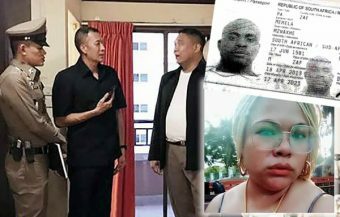 They are reported to be examining the woman’s life in the UK but the Thai woman’s former UK husband, who has since moved to live in Thailand, is believed not to be a suspect in the matter. It has been confirmed this week that the human remains found in September 20th 2004 on a hillside in Yorkshire and buried locally as the ‘Lady of the Hills’ is in fact, Thai woman Lamduan Seekanya. Lamduan married her UK husband David Armitage and moved to the UK in 1991. The couple had three children and are reported to have lived with her husband’s parents in a south Cumbrian village prior to her disappearance. 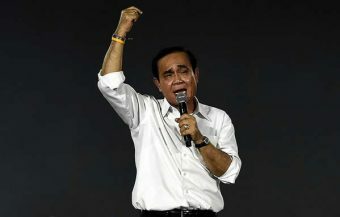 The news was confirmed on Monday by police in Thailand who identified her from a fingerprint records. It has been reported that police in Yorkshire, in the United Kingdom, were finalizing DNA tests having collected samples from Thailand. 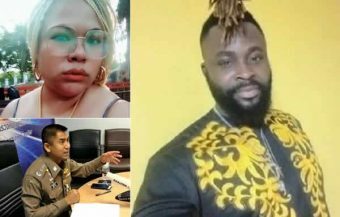 It is also reported from the United Kingdom’s that Lamduan’s UK husband is not a suspect in the ongoing police investigation into her death. 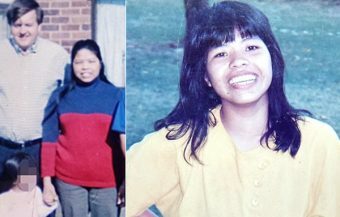 However, the Thai woman’s status as a ‘Thai bride’ in the UK may have contributed to fact that it has taken nearly 15 years to identify her body after she disappeared. This week, Thai police have confirmed through finger prints the identity of an Asian woman, known since 2004 in Yorkshire as the ‘Lady of the hills’ after her body was found by hill walkers on a Yorkshire hillside on the 20th September 2004 as that of Thai woman and Thai bride Lamduan Seekanya. The young woman, who was 36 years old when she died was a Thai bride having married UK man David Armitage in Bangkok in 1991. She was living with her UK husband, her children and his family up until she went missing in 2004. 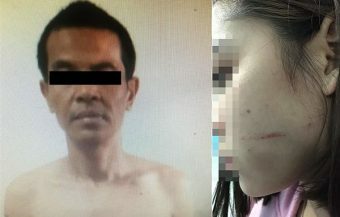 It is understood that her UK husband is not a suspect in the UK police inquiry currently underway into the Thai woman’s death in what is thought to be murder. 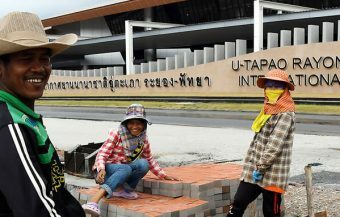 Her husband is reported to have believed that his Thai wife had returned to Thailand and her family in Udon Thani. David Armitage and Lamduan’s children subsequently moved to live in Thailand where he is an English teacher in Kanchanaburi. After nearly 15 years the ‘Lady of the Hills’ has been revealed as a murder victim found in the Yorkshire hills and named as Thai woman and Thai bride, Lamduan Seekanya, originally from Udon Thani province in Thailand. 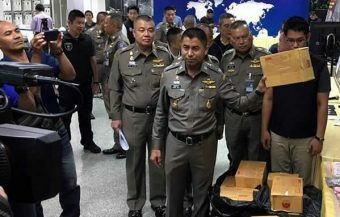 The confirmation came this week unexpectedly from police in Thailand who have revealed that fingerprints on the body are a positive match to the Thai woman who was 36 years of age when she went missing in September 2004. It is understood that investigating UK police in North Yorkshire who reopened the case after a review last year, have not yet publicly announced the information. 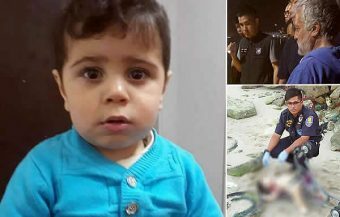 The UK police force has been reported to be in the process of matching DNA samples from the body and samples provided by Lamduan’s family in Thailand. What makes the case of Lamduan so different to others is the fact that as a Thai woman, married to a UK man, it may not have been so unusual for a woman to have been murdered and not reported as missing by her family to police. Although the divorce rate for Thai women marrying UK men is lower than the national average, many Thai women when they leave their husbands, return to their families in Thailand. It is a cultural attribute that Thai women maintain a close relationship and obligations to their family and parents in Thailand no matter where they live in the world. It is also known that Thai women married to UK men living in the UK tend to be involved in relationships that are more likely to be less integrated into society. 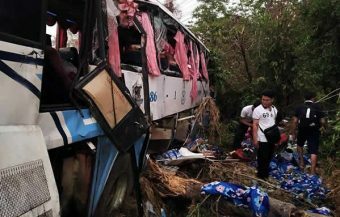 This week, it was reported that the unfortunate Thai woman made a last, emotionally charged call to her mother in Thailand shortly before he was killed. She told her mother that she was destitute and had no money. ‘She said she had no money, not even a single penny. 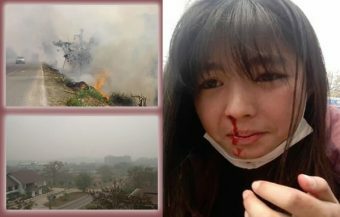 She said she missed home so much,’ her mother told reporters in the UK. 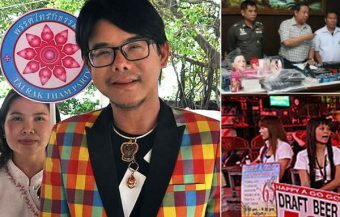 Lamduan’s family reported that the marriage between the Thai woman and her British husband had hit difficulties despite happier times when the couple often visited Lamduan’s parents back in Thailand. Lamduan’s husband has come forward to vehemently deny any involvement in his wife’s murder. Tracked down by media, he refuted any suggestion that he was a party to his wife’s death. ‘I didn’t kill my wife. Absolutely not,’ he told reporters from the UK’s The Sun, the biggest tabloid newspaper in Britain. It is also reported that Mr Armitage is not a suspect in police enquiries currently under in the United Kingdom. The UK police are believed, however, to be looking closely at the life history of Lamduan in the UK in their efforts to determine her fate. The conclusion of a cold case review last year was that the young woman had been murdered and her body dumped in the remote hillside location within 3 weeks of her body being discovered on September 20th 2004. New scientific isotope testing had indicated to police then that Lamduan had lived in the surrounding region shortly before her death. It has been confirmed this week that before Lamduan died, she was living with her husband and children with his family at his parent’s home in the south Cumbrian village of Burton-in-Kendal in the United Kingdom. They had earlier lived in Portsmouth and later in Rugby, Warwickshire. The couple and their children had moved in with David’s parents in 2003, a year before her disappearance. It is understood that friends and relatives were told that Lamduan had simply disappeared at the time that she went missing. This coincided with the discovery of the woman known as the ‘Lady of the Hills’ who was found in September 2004. There are reports that the family believed that Lamduan had deserted her husband and moved back to Thailand. 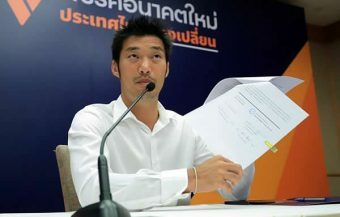 Lamduan’s mother, 73 year old Joomsri Seekanya, has revealed that three years ago, in 2016, Lamduan’s son arrived at their home in Udon Thani looking for his mother. 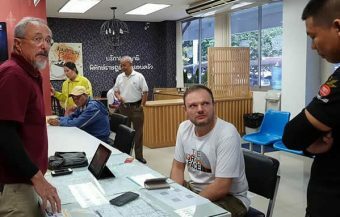 She said that her grandson had told them that her father’s belief was that his mother had returned to Thailand to marry another man. David Armitage, Lamduan’s UK husband, later moved back to Thailand with her children. The UK man is working at Kanchanaburi Rajabhat University in Kanchanaburi province, over 120 km west of Bangkok, near the border with Myanmar. It reported that he teaches English at the high profile university campus. The UK man has said that he has been aware of press speculation on his wife’s demise prior to her identification this week. 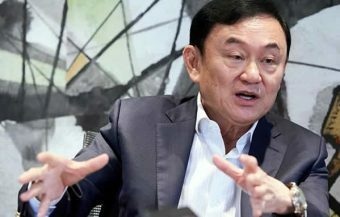 He told the media this week that he has been given instructions by the UK embassy in Thailand not to comment on the circumstances of his Thai wife’s death. Speaking with The Sun newspaper he described speculation about his wife’s possible murder as a whispering campaign. ‘I know the inferences are there but I’m just getting on with my life. It’s been a long time,’ he told the tabloid newspaper reporters. Detectives in the United Kingdom are believed to be working on the theory that someone killed Lamduan and ditched her body in the remote Yorkshire hills using a 4 wheel drive vehicle. Although police found some clothing near the body, they never did recover her shoes. The woman’s body did not have outward signs of bruising or injury nor were there any indications that she had drowned even though her body was found near a stream. They did however discover a spiral fracture on one finger which would could have resulted from her attacking someone or falling on her hands. 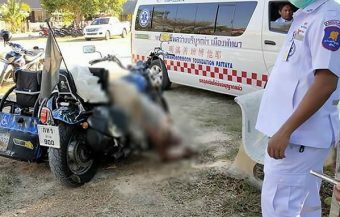 There is now some consolation for the family of the Thai bride in Udon Thani. Their daughter left Thailand for love and to be with her husband in the UK twenty eight years ago in 1991. This week, they finally know that their daughter lies at rest as the ‘Lady of the Hills’ in a picturesque UK graveyard. The distinctive gap in the young woman’s teeth and facial structure allowed her mother to be confident that the woman found in September 20th 2014 was her daughter from a rough police sketch widely circulated. The gold ring still found on her body was traced back to the Bangkok marriage of the then 27 year old David Armitage and Lamduan in 1991. It also played a significant part in identifying the long lost Thai woman. The UK man and his Thai wife had met 7 months prior to this when David Armitage worked in Thailand.